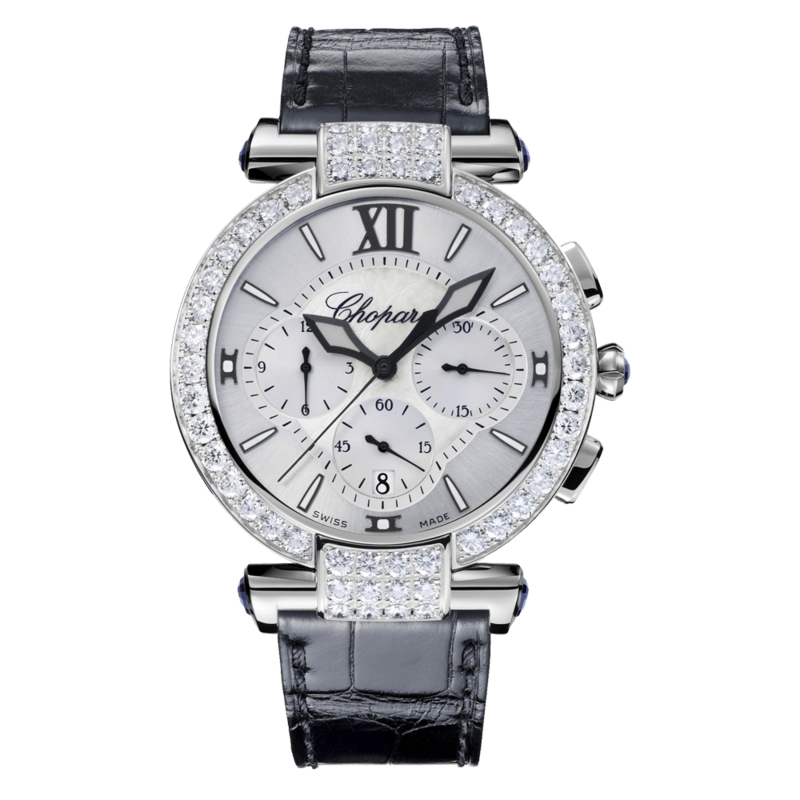 Chopard is a world-renowned family company that is as well-known for its watches as it is for its jewellery. The company built its reputation by manufacturing watches and jewellery with very high quality, masterful workmanship and innovative design. Among other things, they have made a jewellery line with Rihanna, and several of the latest Oscar winners have worn jewellery and watches by Chopard. Just like all world-renowned producers, Chopard has succeeded with a product that has not changed itself to conform with the digital age. It’s an acknowledgement of solid workmanship and a design that lasts throughout time. Purchase your Chopard watch in Göteborg or Chopard watch in Stockholm at our Rob.Engström. You will receive advice and service, allowing you to feel secure about your purchase. Our goal is that as our customer, you will leave our doors wearing your dream watch on your wrist. Since an exclusive watch is expected to be worn for your whole life, service and maintenance will regularly be needed. Our watchmakers are trained on-site at the large Swiss manufacturers. In addition, we have a large warehouse with spare parts for most types of exclusive watches. We maintain and repair your expensive watches in Stockholm. Chopard has been making its watches and jewellery in Switzerland since 1860, when the company was founded by Louis-Ulysse Chopard. 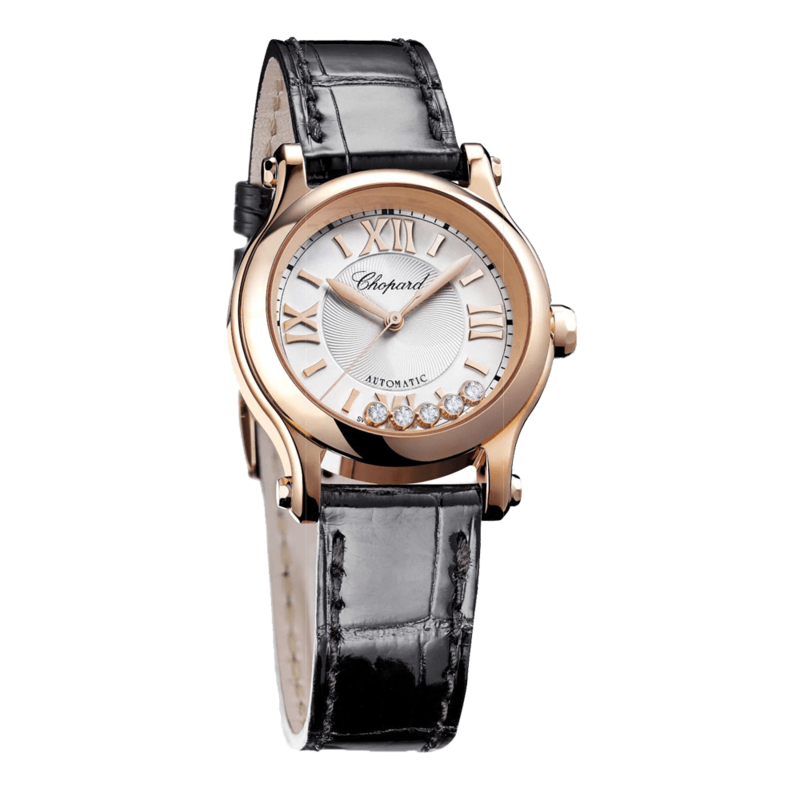 From the beginning, Chopard is known best for its production of women’s watches and pocketwatches. Today, the company employs over 2000 people worldwide with over 20 different patents. Of course, the manufacturing still takes place in Switzerland. During the most recent years, Chopard has used metals and diamonds certified by the Responsible Jewellery Council. This means that the material used in a Chopard watch is ethically sourced with a regard for both people and the environment. Purchase a Chopard watch in Göteborg or another city in Sweden, and you can be sure you will have a watch that will be a prized possession for your whole life and for generations to come. When it comes to exclusive watches, the workmanship is one of the reasons for the high prices.The classic Swiss brands are synonymous with unbeatable workmanship that is without parallel worldwide. The high standards for exclusive watches lie not just in their appearance, but also in the hundreds of parts inside them. By selecting a Chopard, you can count on the workmanship being of very high quality, with its top components assembled by some of the world’s most skilled and precise artisans.